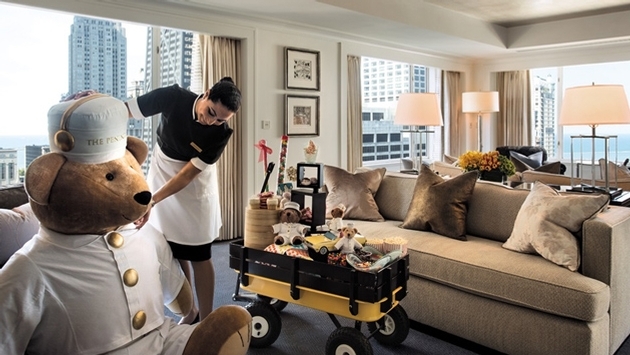 This summer, The Peninsula Chicago invites guests to stay at the luxury, five-star property and enjoy the Exclusive Online Booking Offer of a guaranteed room upgrade* and special welcome amenity. Book now on the hotel's new experiential website – peninsula.com/chicago through July 31, 2014, with stays until Aug. 31, 2014, and enter for a chance to win a three-night stay at the new Peninsula Paris, opening August 1, 2014. Rates start at $ 399, based on availability and subject to change, with some of Chicago's most spacious accommodations. Guests can make bookings in just two simple steps with the re-architected and simplified reservation process. Paris – The City of Light – awaits for the lucky guest who wins The Peninsula Paris Great Getaway Promotion(#PenParisGetaway). Once guests book their stay online, they may enter for the chance to win an incredible trip to The Peninsula's newest property in Paris, opening on Aug. 1, 2014. This once-in-a-lifetime experience includes a three-night stay in a Superior Suite, roundtrip air travel for two people, airport transfers and daily breakfast. This promotion is valid for U.S. residents only.